Both a producer and a resident DJ at Octagon—Korea’s biggest club, making No.5 in the World Club Rankings—DJ AK will be welcomed as the special guest. 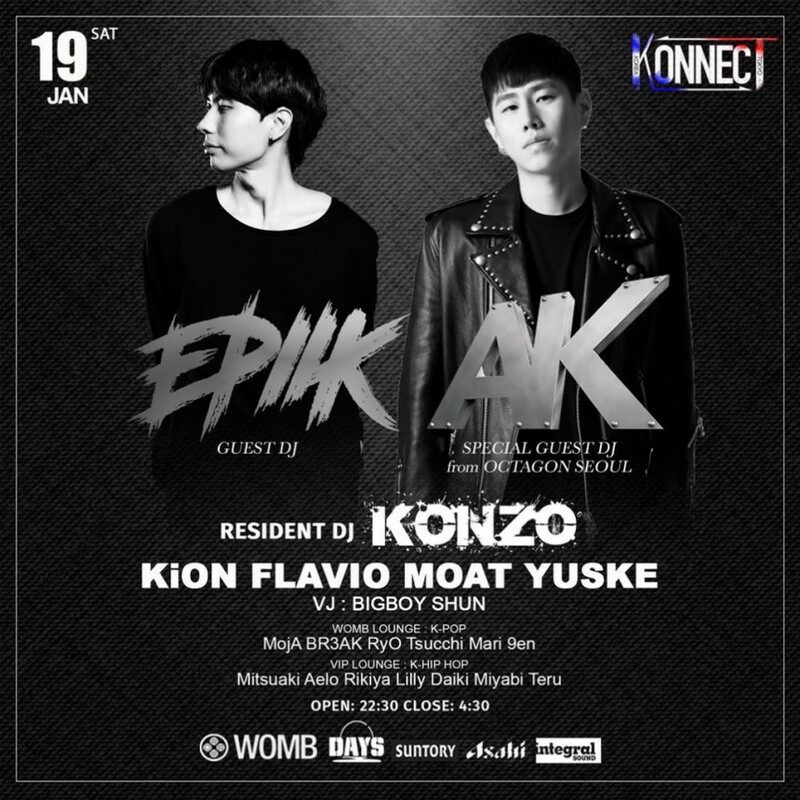 Furthermore, with DJ EPIIK—who belongs to Korea’s most prominent entertainment company DCTOME & C and is active around Korea’s famous clubs, having broken into the top ten of the Electro House Charts—appearing as a guest on the Main Floor’s EDM ZONE, there’s no doubt that it will be a thrilling night with non-stop groove! The WOMB LOUNGE will be transformed into the K-POP ZONE, which will be so packed it will be tough to pull off your K-POP dance moves. In the VIP LOUNGE will be the K-HIP HOP ZONE, in collaboration with KWAG, a K-HIP HOP event that has now become famous throughout the city. These three floors will be the ultimate party to KONNECT Japan and South Korea, and bring about a new movement!